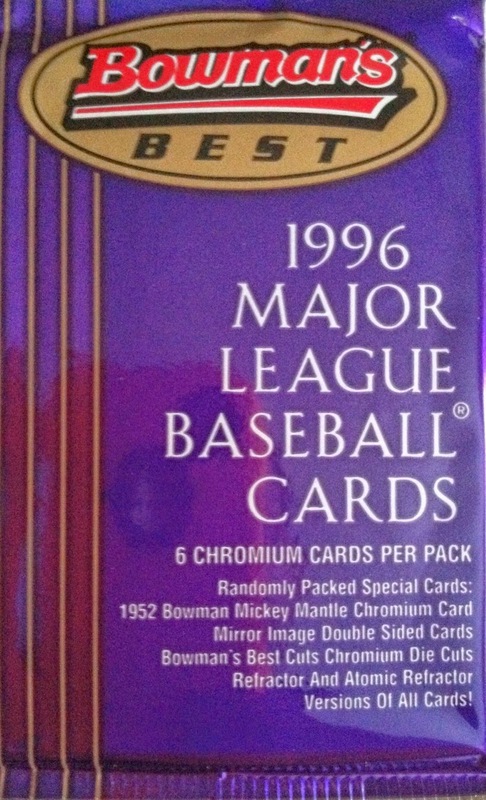 If you haven't figured out this yet, I am a huge fan of Fleer products. 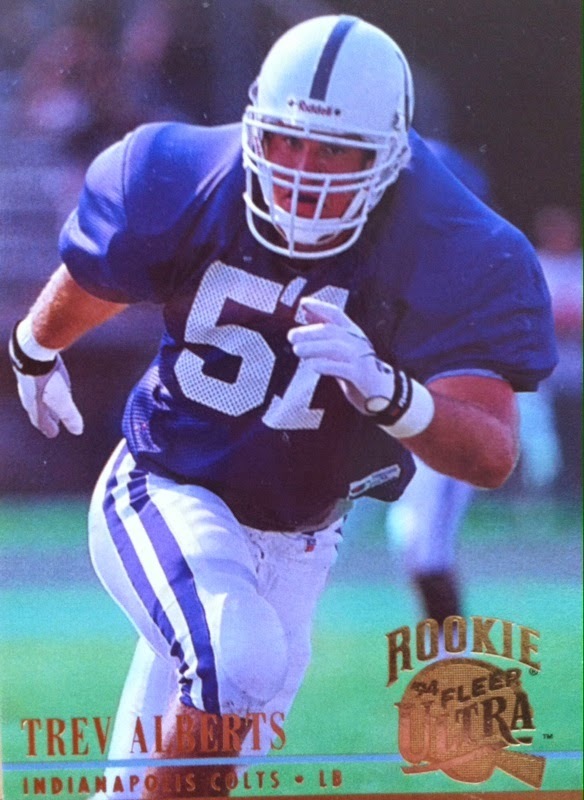 That is why I was led back to 1994 to break a pack of 1994 Fleer Ultra Series 2 football. 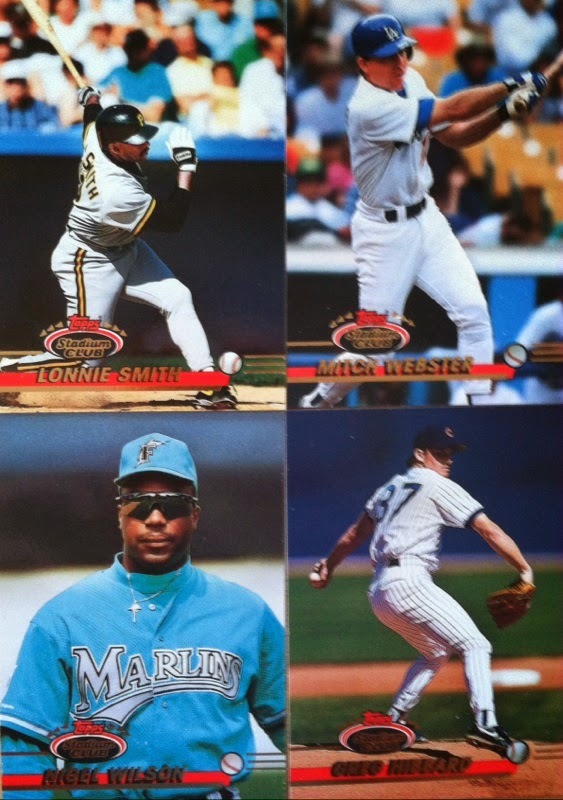 One of my favorite things about Fleer products was the inserts. They were always so bright and bold and very well done. Also, when it came to Ultra in particular, the base cards had tremendous border-less action photography as you will see below. The one thing I like to look for in a base card is as much action as they can show! 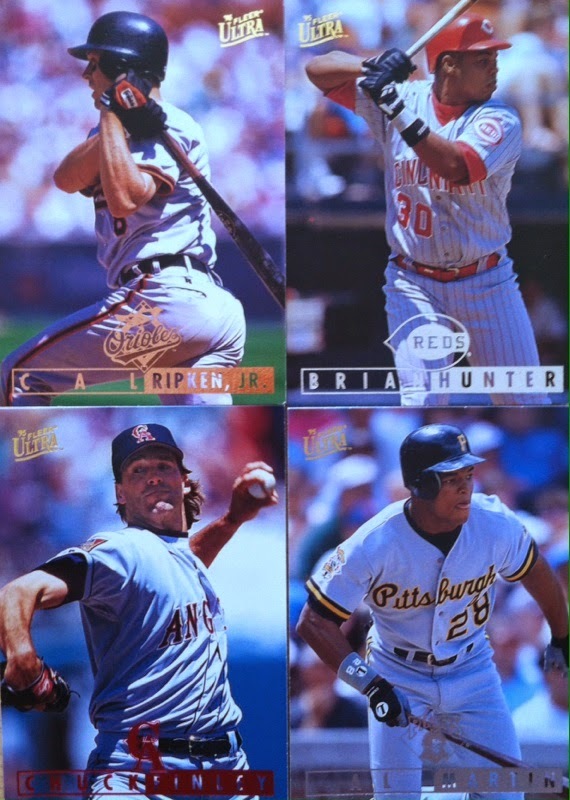 1994 Fleer Ultra Series 2 came with 12 cards per pack and one of those cards was a guaranteed insert or as they call it, a "limited edition" card. BOOM! Scoring Power Ricky Waters! 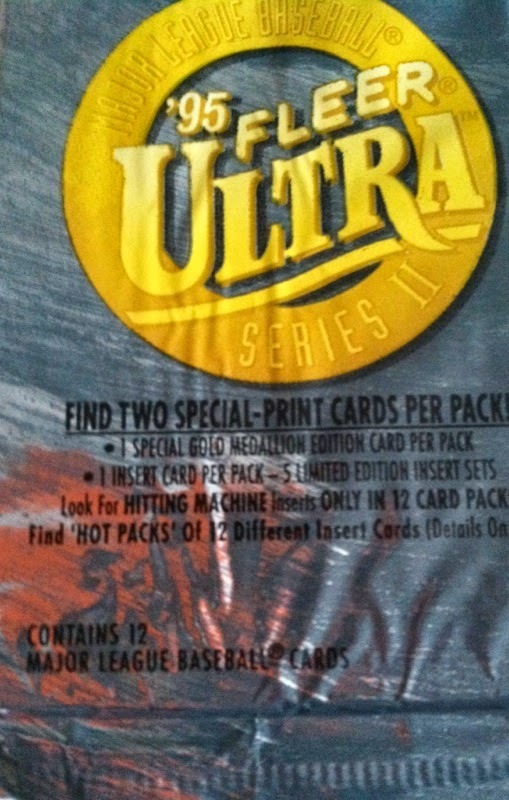 The pack states that inserts will fall from 1:3 to 1:37 packs. So I have no idea where this one falls in particular. 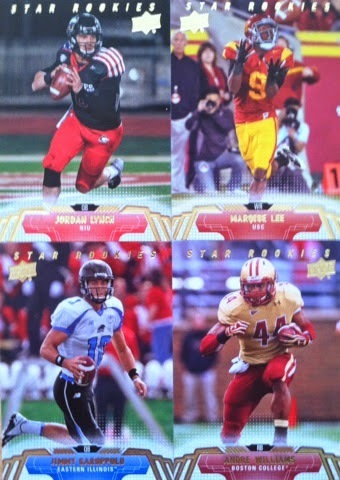 Overall, you get one special insert per pack with some more rarer than others. I liked this break. 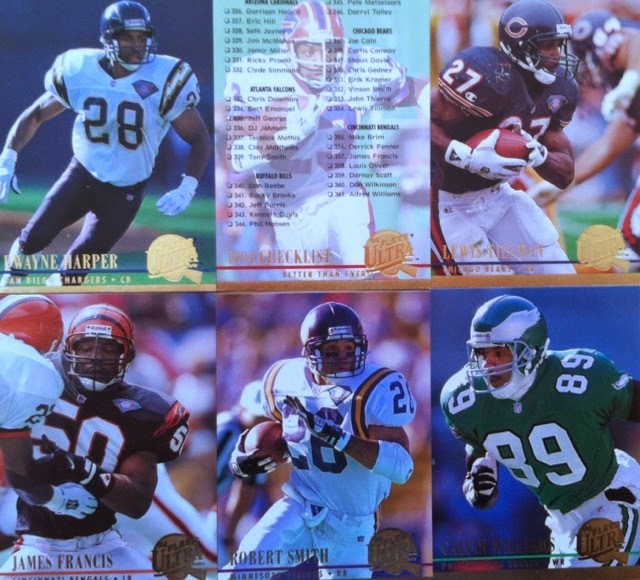 Great action base cards, insert per pack, this is exactly what you want in a 90's break. Once again, as you can tell, I am very excited about this years football rookie class. 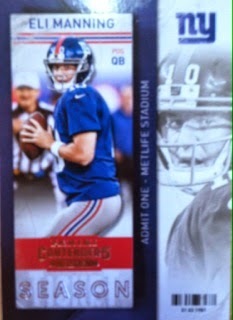 Whether it's Manziel, Bridgewater or the Giants 1st round pick in Odell Beckham Jr, there is a lot of talent and card value this season. After a rough 2013 football card season campaign, I really need a lift. 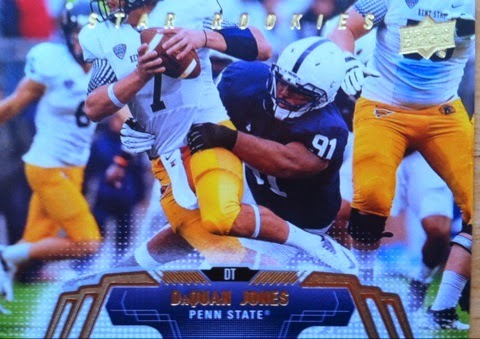 I do find buying cards early of these guys is a great idea despite no NFL releases yet which you know I am counting down to but have to wait til late June for. 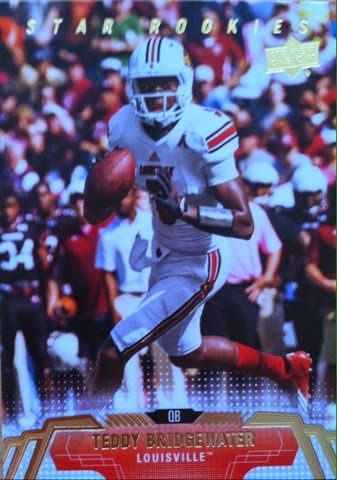 Enough with my rambling, now onto the break, each rack pack of Upper Deck football comes with 32 cards with 30 of those being rookies. 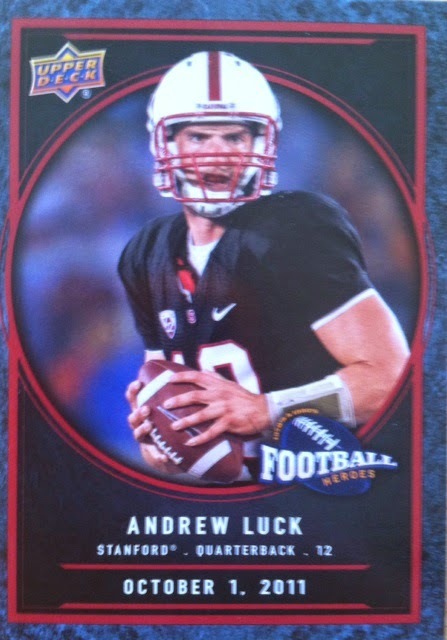 Two of those cards will be an Andrew Luck Football Heroes Inserts. You also have a chance at autographs in 1:24 packs. What did I find, you will have to read on! Overall, when Upper Deck states there is a lot of value per rack pack, they were not joking. 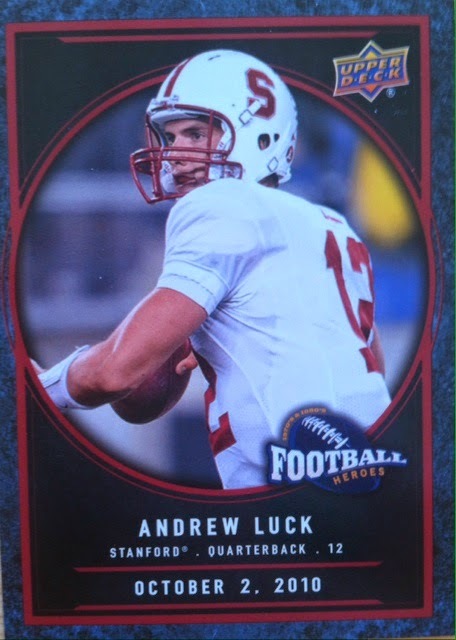 You get a ton of rookie cards, chances at autographs and two Andrew Luck inserts, I call that a pretty good break. One of the greatest innovations of the 90's, other than holograms, was the invention of the Chrome technology. This technology still stays true to today as most of these products still exist and are some of the most sought after on the market. 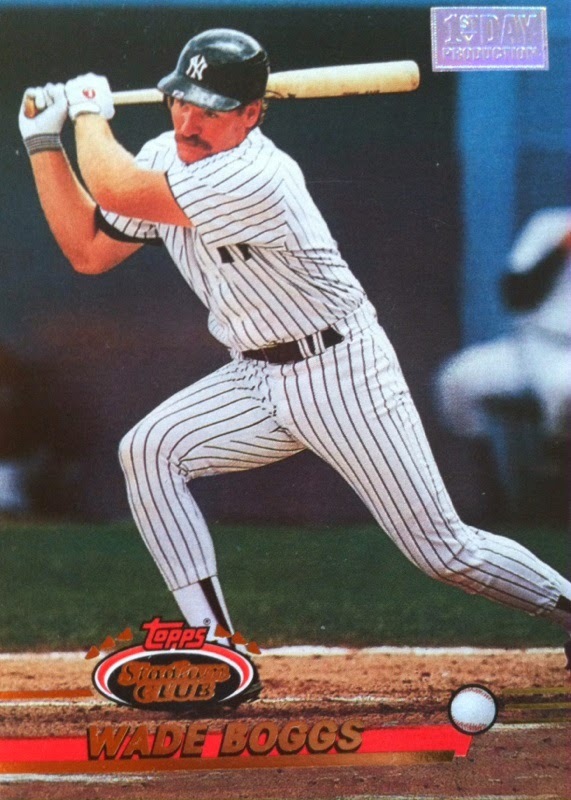 There were 6 cards per pack in 1996 Bowman's Best Baseball with chances at special refractor cards, die-cuts and commemorative cards of Mickey Mantle. To say the least, this was something special. Now onto how I did in this break. Pulled two of the Larry Walkers as well. Big Unit! Love the hair! Overall, a fun break never knowing what you could find inside, but in terms of this particular break, a bit of a disappointing one in terms of getting two doubles. Raise your hands if you miss Stadium Club...yep...I see a lot of hands. 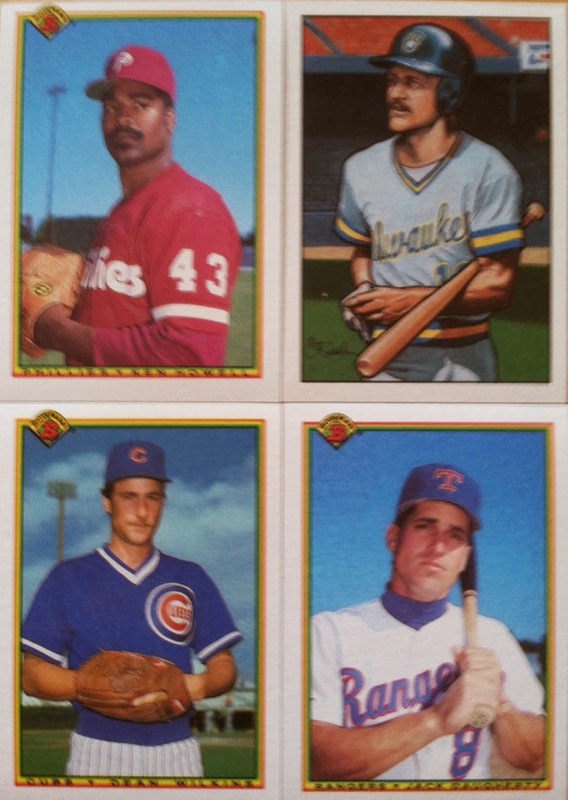 Now despite Topps finally bringing back this popular brand in 2014, you know as well as I do, it won't be the same. Just like a redone movie, they always add too much extra stuff and don't stick with what made it popular in the first place. The original is always better. 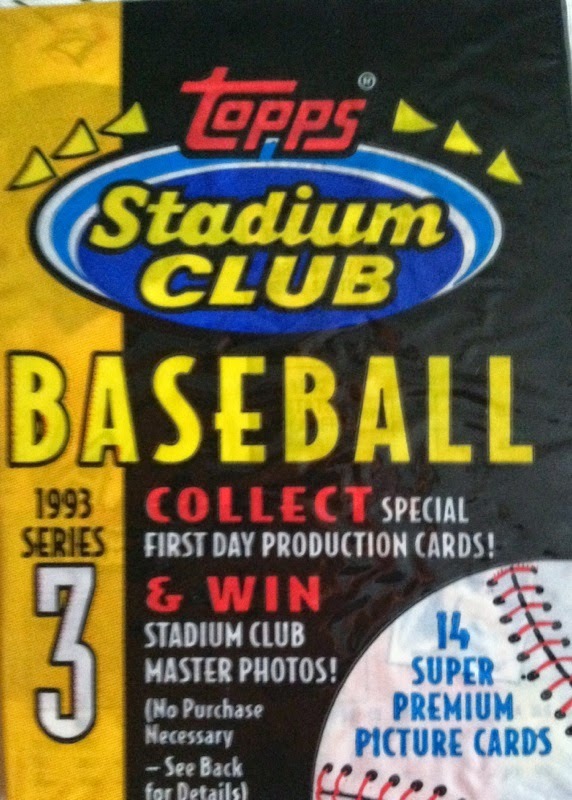 Back in 1993, Stadium Club consisted of three series. The one I am opening today is Series 3. In Series 3, there were 14 cards per pack. All base cards featured sweet border-less photography. The inserts all fell at a 1:24 ratio making them about one per box pulls and adding more value to them when pulled. Speaking of one of the inserts being pulled, did I pull one? The only way to tell is to check out my break! KAPOW! Here it is! Pulled one of the 1st Day Issue parallels to add to the PC. The only problem is, do I add it to the 90's PC or the Yankees one? Overall, the base cards themselves were worth the chance here. However, pulling the only insert from the box was a sweet added bonus! I would definitely go back and try again! Today's Topic: What era do you consider the best era of collecting? Was it the 70's and older? 80's? 90's? 2000's? and why? Yup, you guessed it. I wanted to Michael Jordan hunt again. The only difference this time was the fact I was insert hunting as well. The problem was that this break provided neither for me. 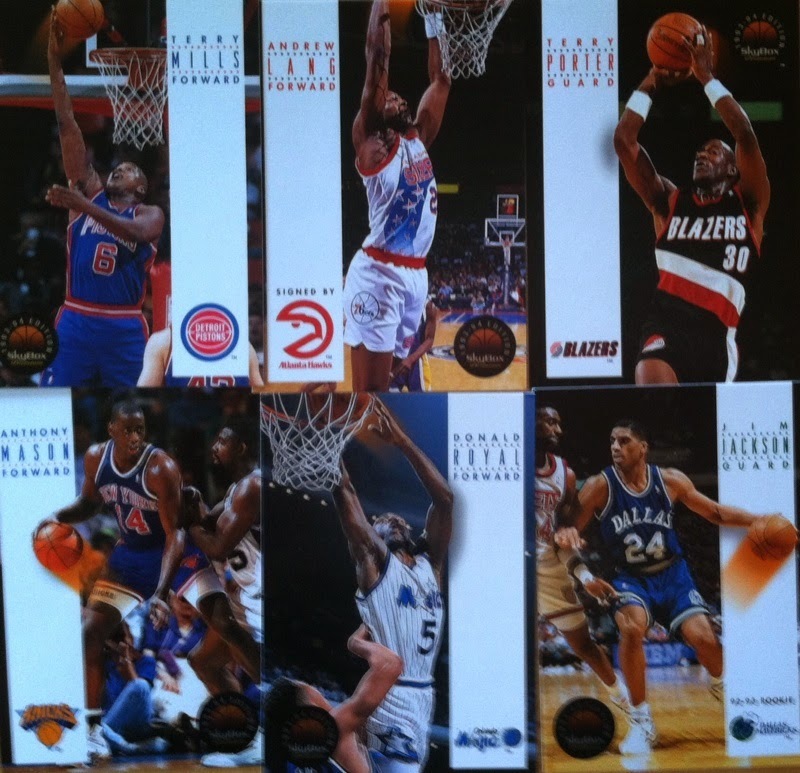 However, 1999-2000 Topps did provide me with 11 cards in a pack and gave me a shot at some sweet looking inserts and even a NBA Superstar autograph. What did I get in this particular break, well you will have to read on to find out! 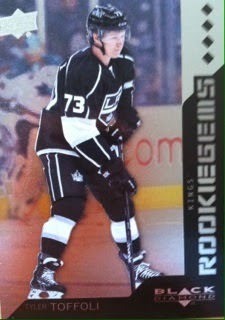 Overall, wasn't a terrible break in terms of the players I pulled and I did get a rookie. 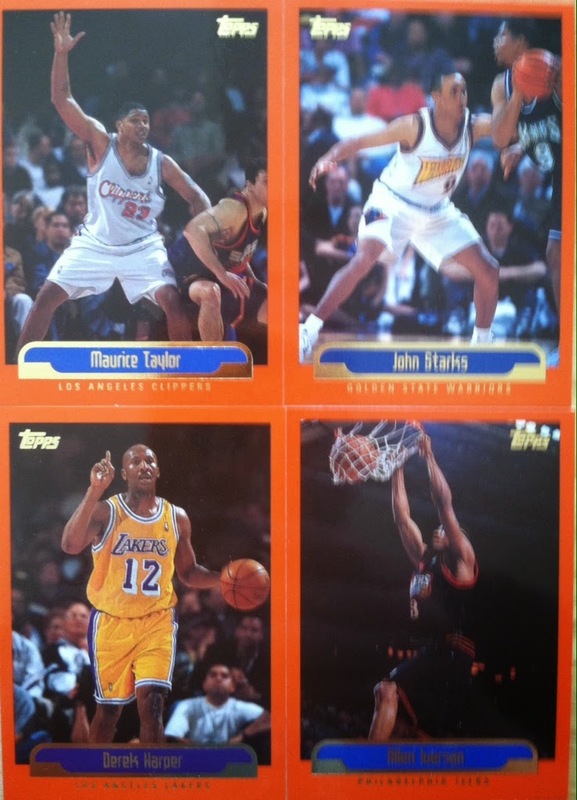 One of my favorite cards was the John Starks (Knicks fan) even though he was playing for the Warriors at the time. I wasn't a huge fan of the orange bordered design in this product even though I get what they were trying here to try and match a basketball color. However, with this kind of color it takes your focus off from the photo and puts in all onto the border. I can't even look at them without being blinded! 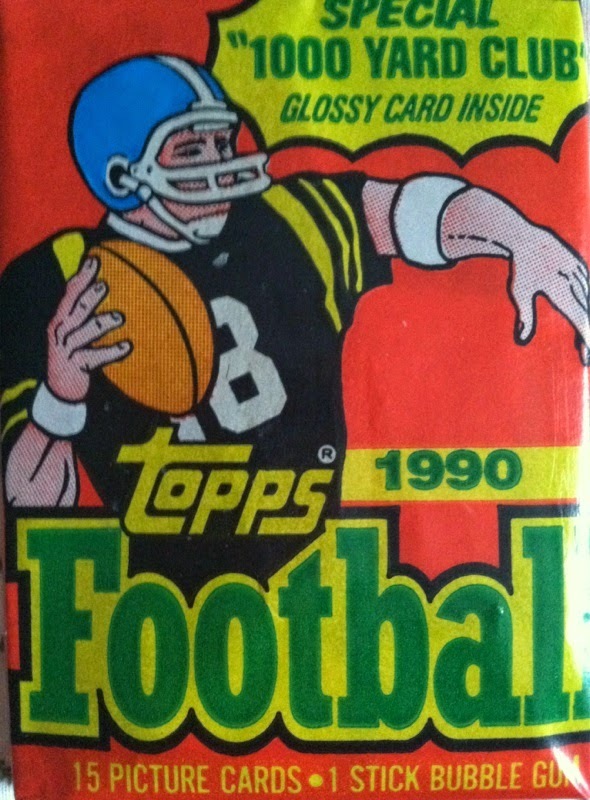 Well, I busted a pack of 1990 Donruss baseball earlier today, why not dulge into a pack of 1990 football now. 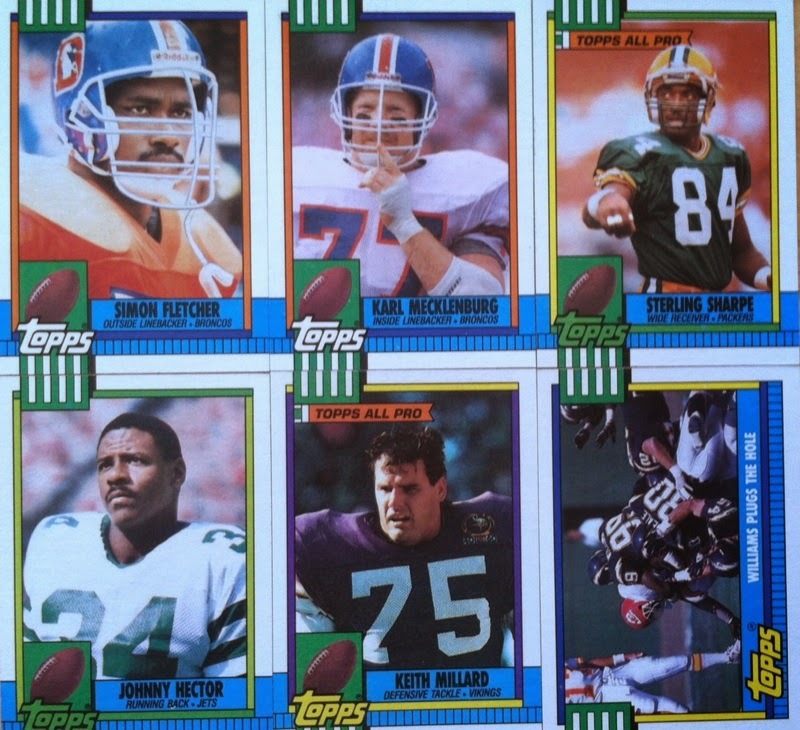 In 1990 Topps football, each pack came with 15 cards and one stick of gum. 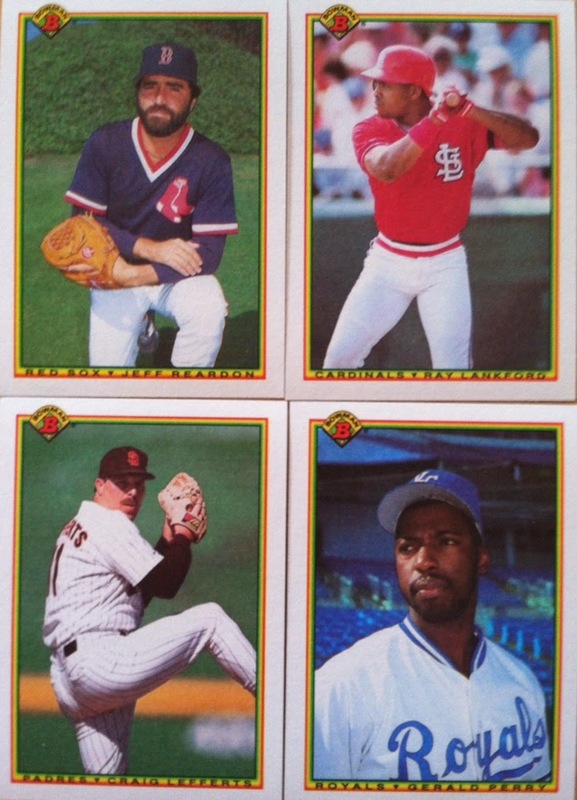 One of the cards was a "special' extra glossy 1,000 Yard Club insert. The design of the cards was fun and some of the cards had some good photography. Once again, these are the kind of cards you can use for a Caption This segment. Overall, not a bad break. 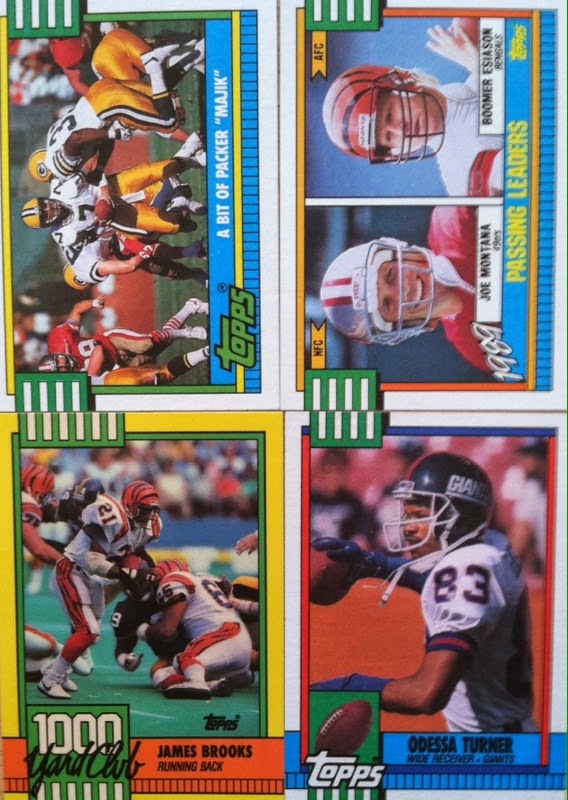 I ended the pack with a Joe Montana card and a Odessa Turner for the Giants PC. Not to mention the insert of the bruising James Brooks. 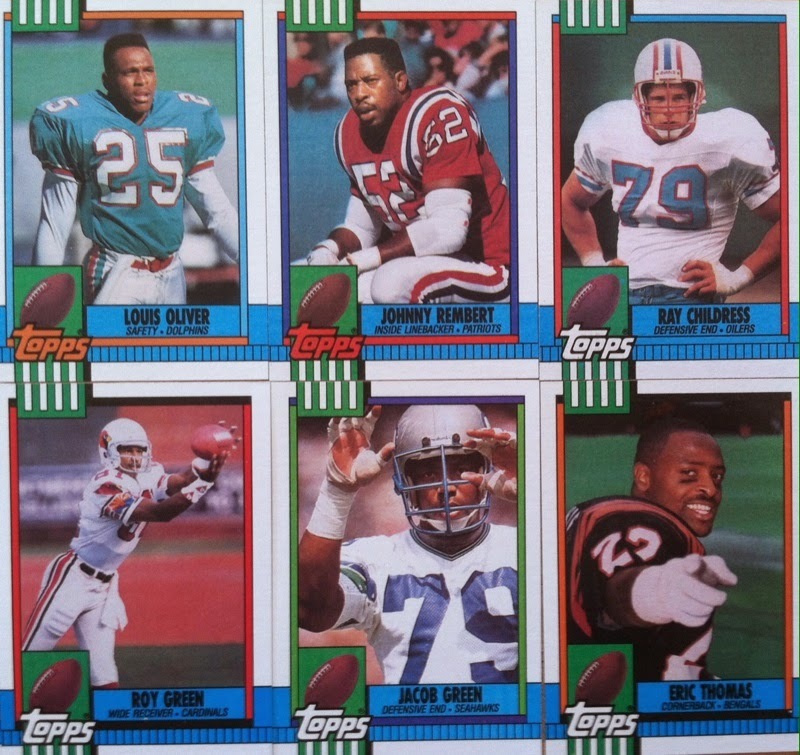 It's probably not something I would bust again just because of the weak rookies in this product (Emmitt was in this one) and the fact that I already have 2 factory sets I picked up at a yard sale. But hey, a one time break is always fun. How can I discuss the 90's and not break anything from 1990..well that time is now. I decided on a pack of 1990 Donruss baseball to rip. 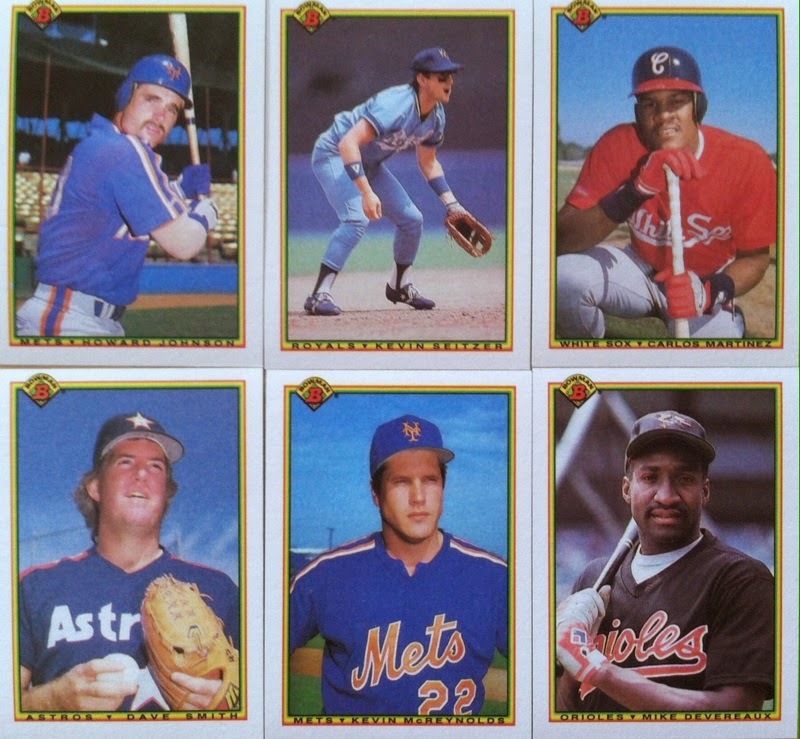 Inside of every pack of Donruss baseball 1990 was 14 cards and one delicious piece of bubble gum. Boy, I bet that gum still tastes as awful now as it did back then. 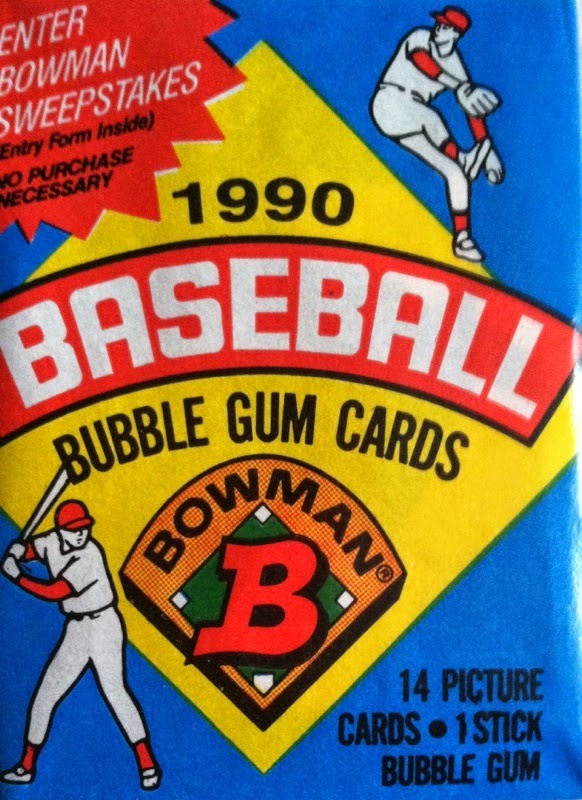 Seeing that gum does one of two things, one worry about what it may have done to the cards (I would worry even more 20 years down the road) and two kind of tempt you to try it. Which I didn't by the way. Not much to show in this break. You could tell that most of these player shots were posed for the camera as most of the guys were trying their best to smile. 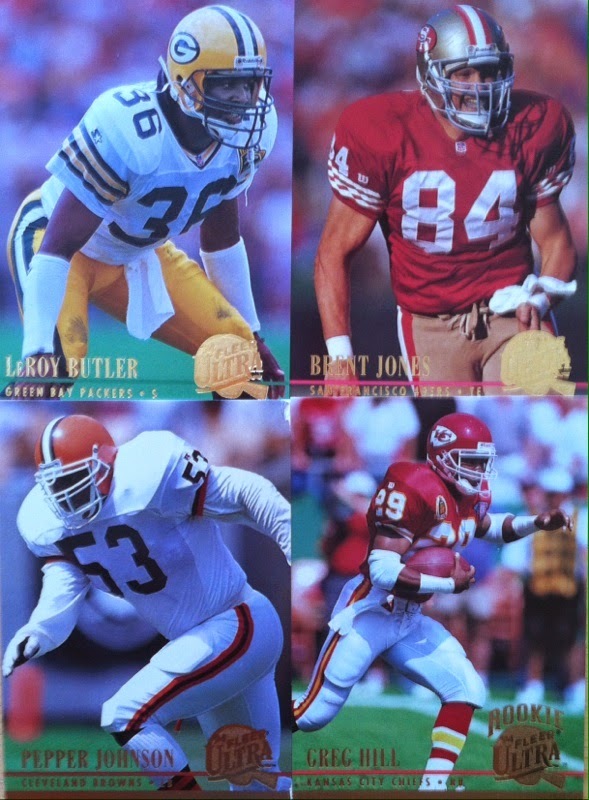 These are fun because of the way they are trying to pose and make great cards for my Caption This segment on Sport Card Collectors. I wanted to see if I could get some more MJ into my card diet. So I decided to break another basketball product. 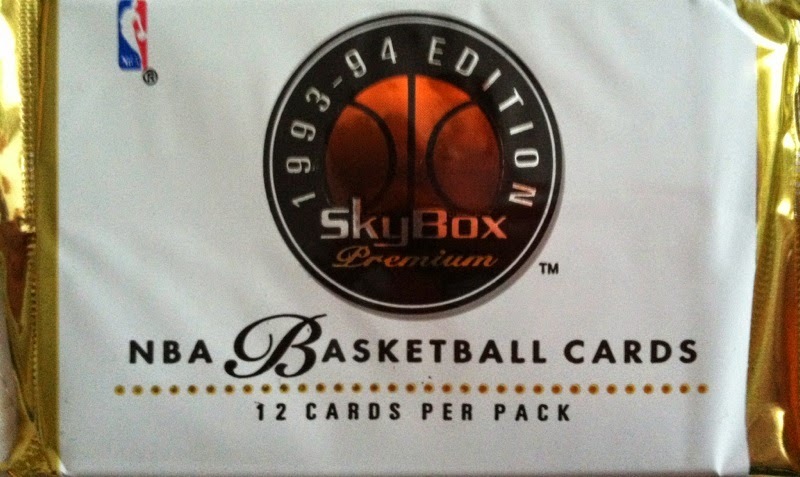 This time is a 1 pack break of 1993-1994 Skybox Premium Basketball. Did I fill my dietary need? Only one way to tell. Follow this link! 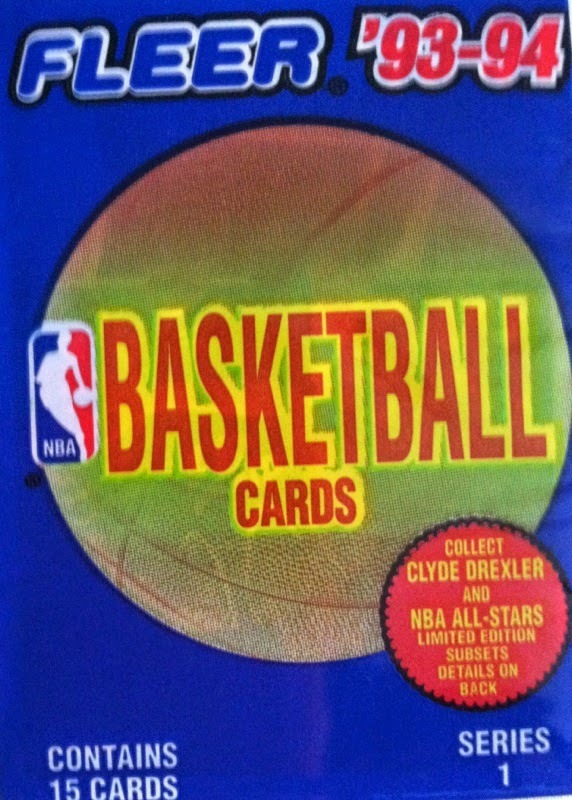 You know me by now from all of these breaks, one I like Fleer products, two, I like to bust Fleer Ultra, three, I like to search from Michael Jordan cards back in these products. 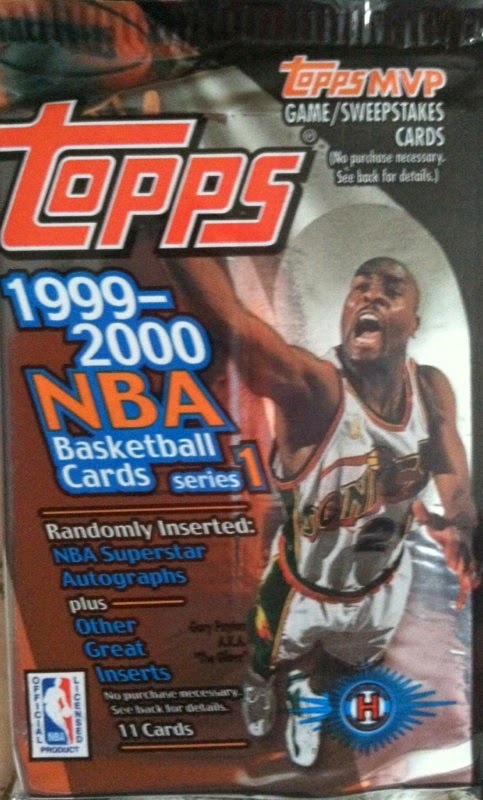 So combining these three things you get me breaking a pack of 1992-1993 Fleer Ultra basketball. 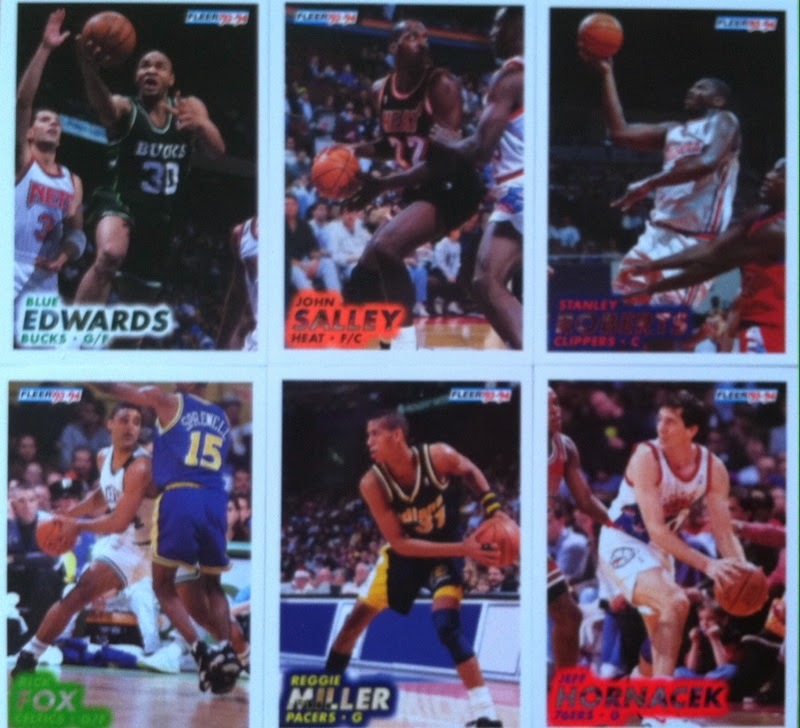 Each pack of 1992-1993 Fleer Ultra basketball came with 14 cards per pack. 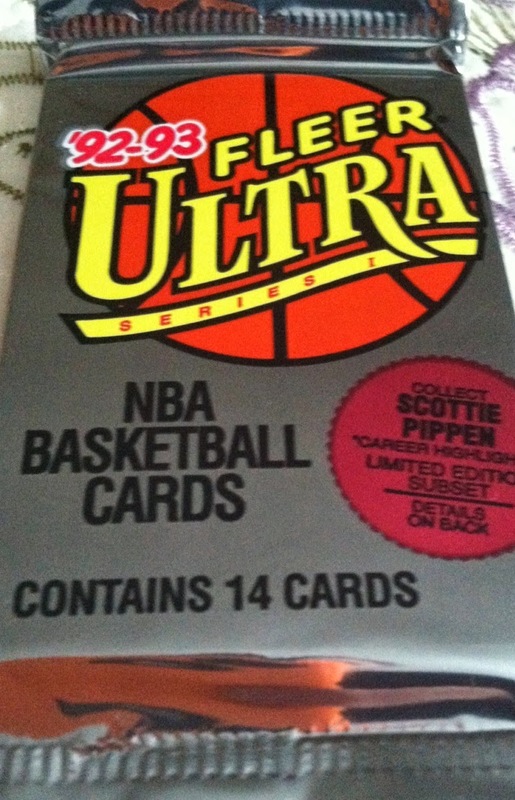 There was also a chance at getting a "limited edition" Scottie Pippen subset card. Overall, not a bad break. 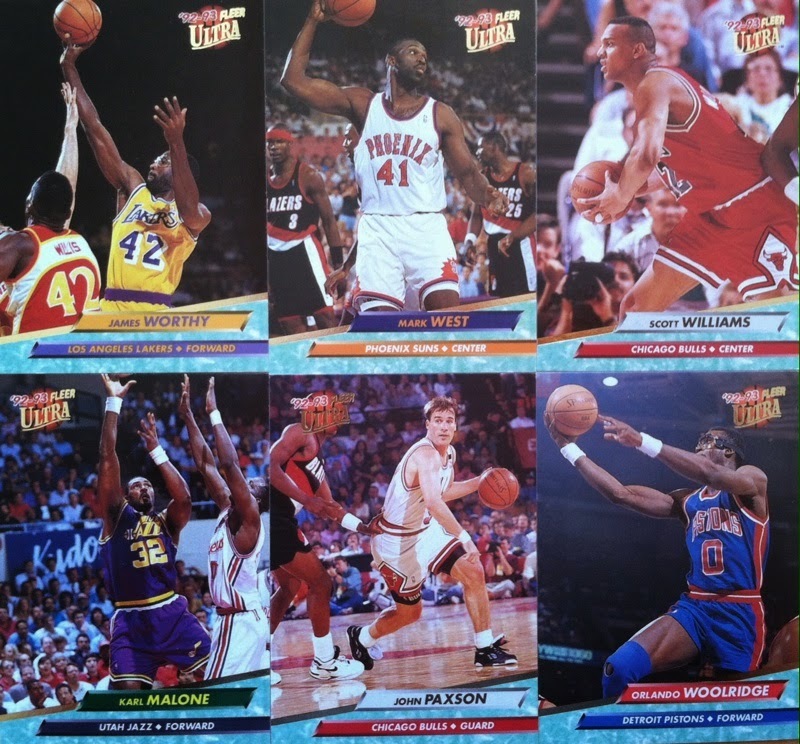 I like the design of the cards and I really liked pulling a Karl "The Mailman" Malone card. The problem I had was it left me hanging and wanting to pull one of those Pippens. Guess that means I need to bust another sometime. Once again, I am ripping some basketball in another edition of 90's Rip Party. 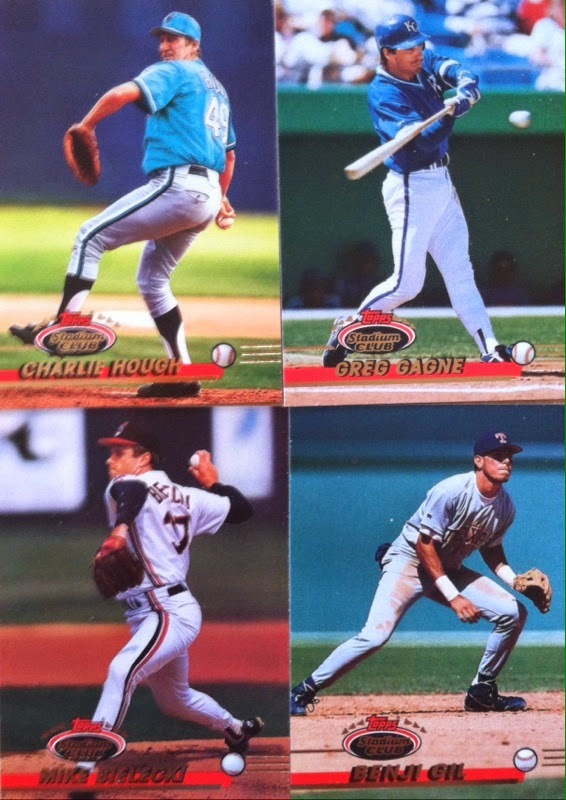 Today's selection, 1993-1994 Skybox Premium! 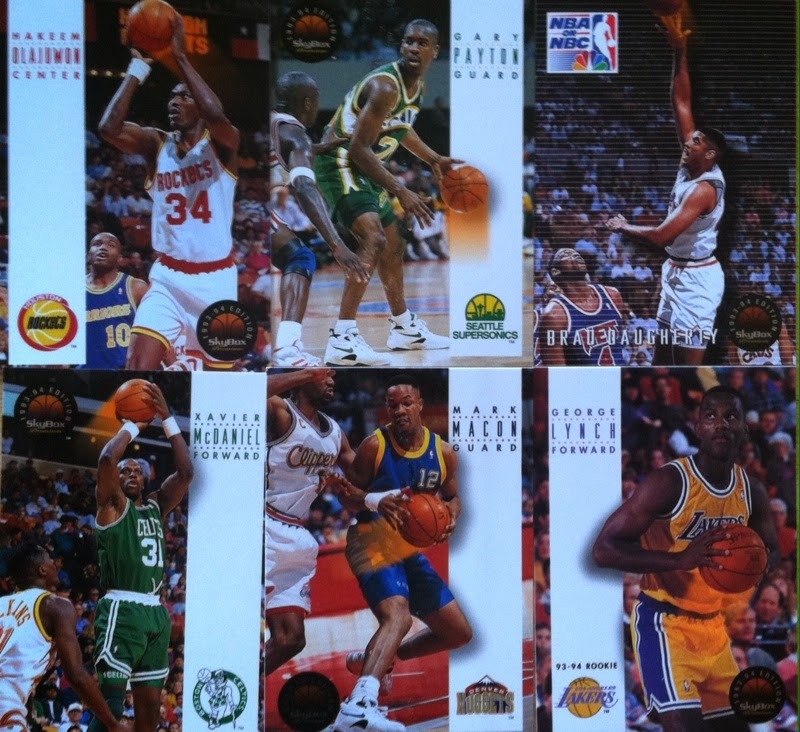 In 1993-1994 Skybox Premium basketball there was 12 cards per pack. The design was decent. 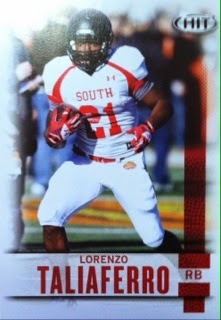 A rectangle box ran down the left side of the card with player name, position and team logo. There was no border and some decent photography. There were some fun inserts to collect as well. Overall, not a bad break especially when there is an MJ sighting. The main thing I like about these is the photography. The Jordan alone makes you feel as if you are court-side watching him make this shot that is more than likely a game winner. I didn't find any inserts this time, but I would probably go back and give another a try. What are your thoughts so far on Score Football 2014? Comment below and let me know! When breaking basketball, one thing comes to mind, MJ. 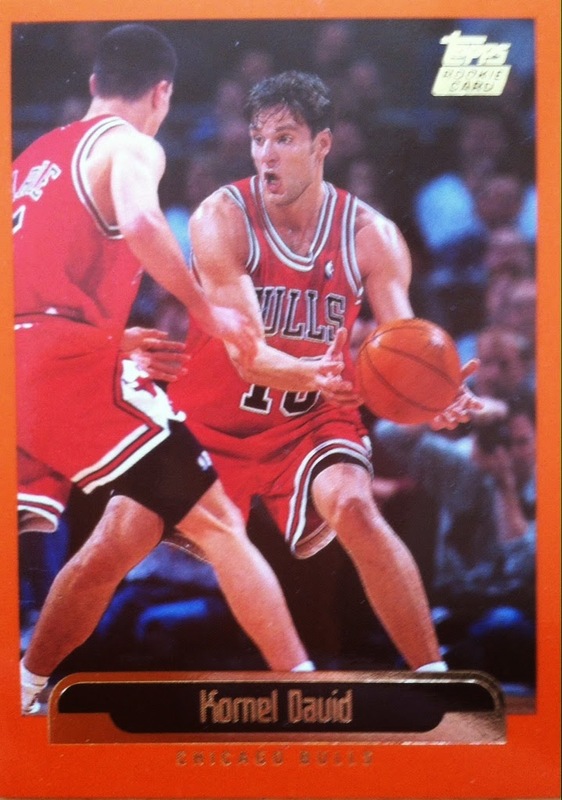 So when wanting to go on an MJ chase I decided some basketball cards were needed to be broken. 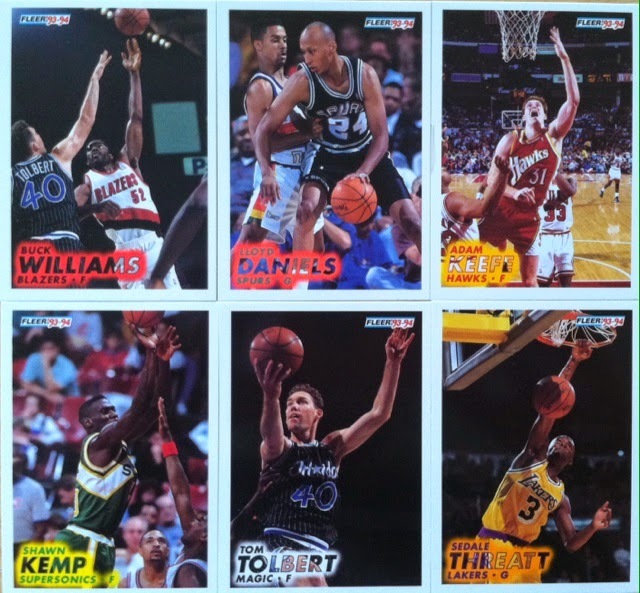 So why not go back to 1993-1994 and break some Fleer? 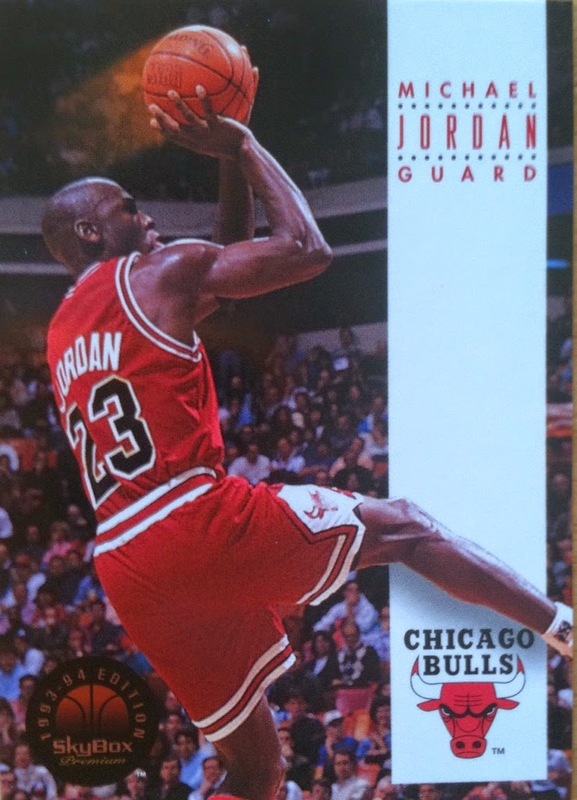 Did I find an MJ in my pack (yes..shhhh)? Did I pull an insert (not telling) follow the link to find out! Everyone loves to open wax packs or is that just me? Well, here is a fun one for ya! 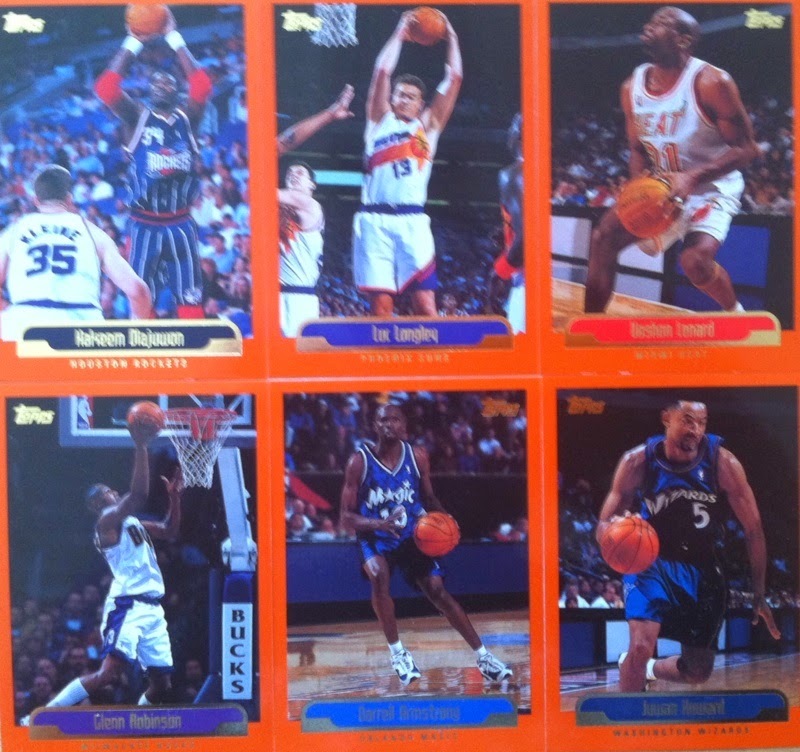 I recently broke a pack of 1993-1994 Fleer basketball and was pretty excited with the results. 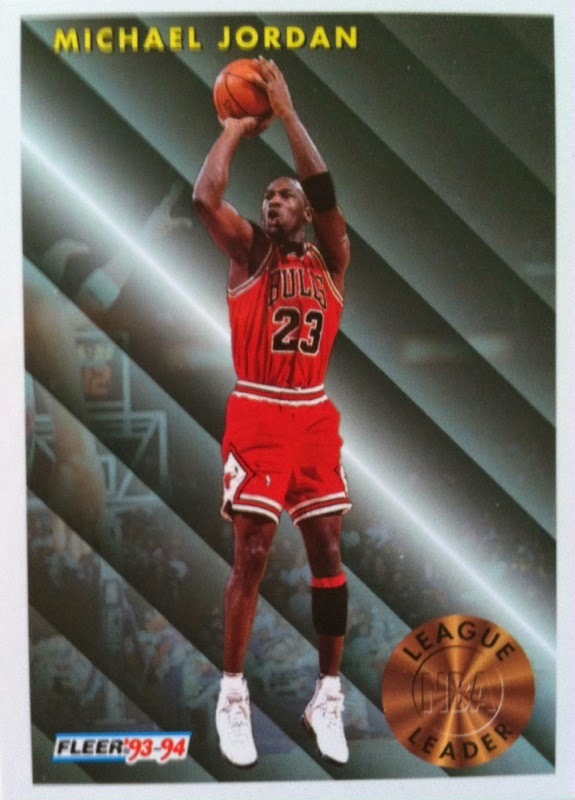 There was an MJ sighting and I pulled an insert. For a 90's basketball break, this is exactly what you are looking for! 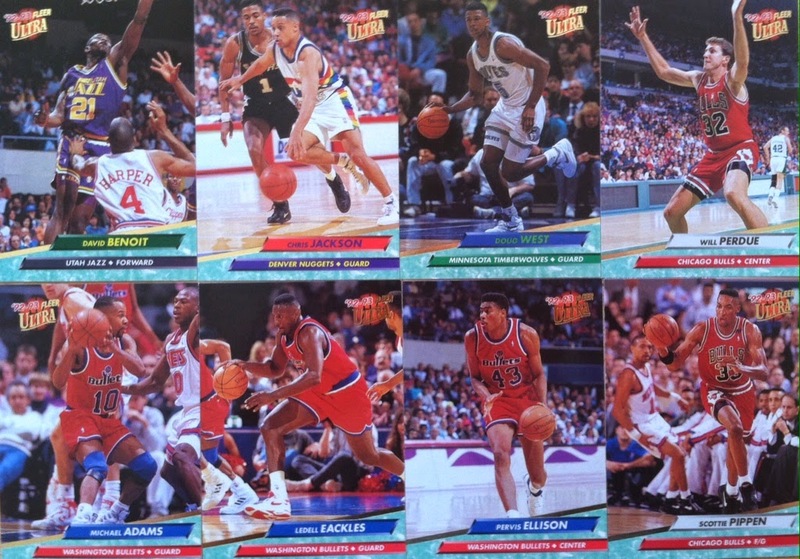 The design of Fleer '93-94 is pretty good. A think border, brightly colored names (I mean what wasn't brightly colored in the 90's?) and some great action shots. 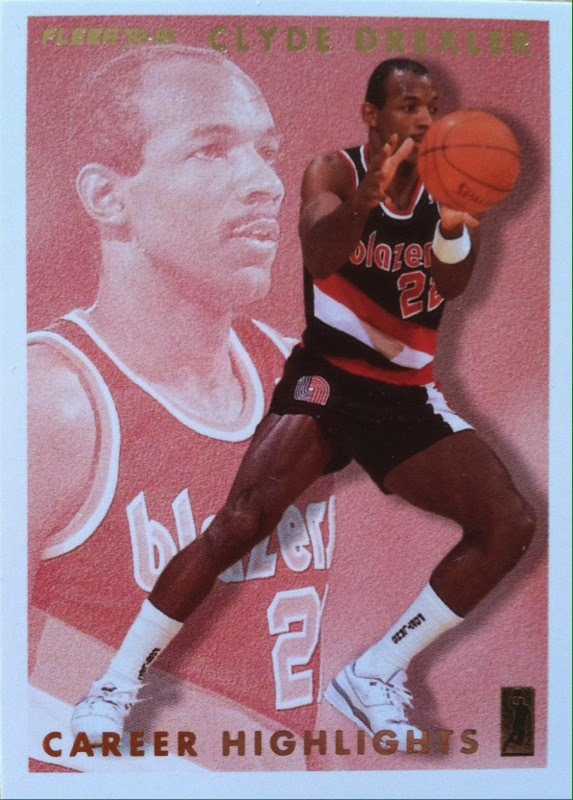 Now onto the insert pull of a Clyde Drexler Career Highlights card that fell 1:6 packs. There were much tougher signed versions of these as well that fell 1:7000 packs. 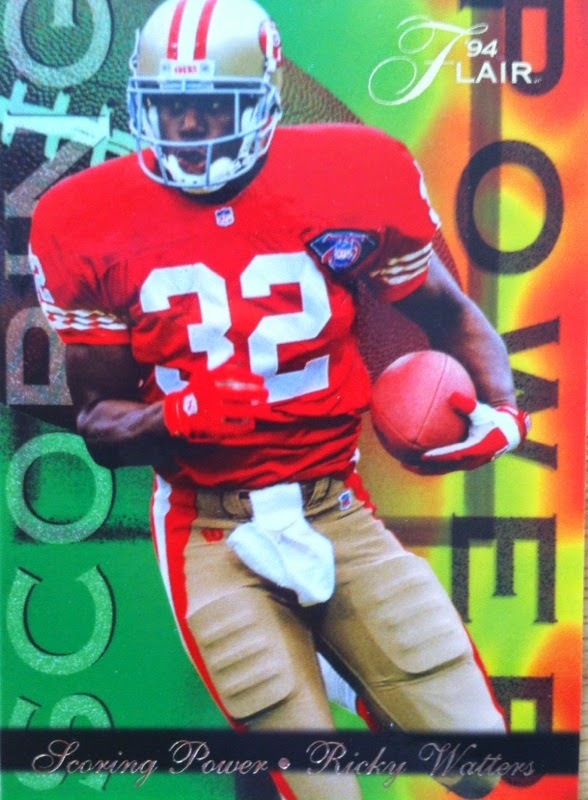 Check out this break of Bowman Football 1993. It's one of the better designed and action photoed that Bowman has done. Especially compared to Bowman football of recent. 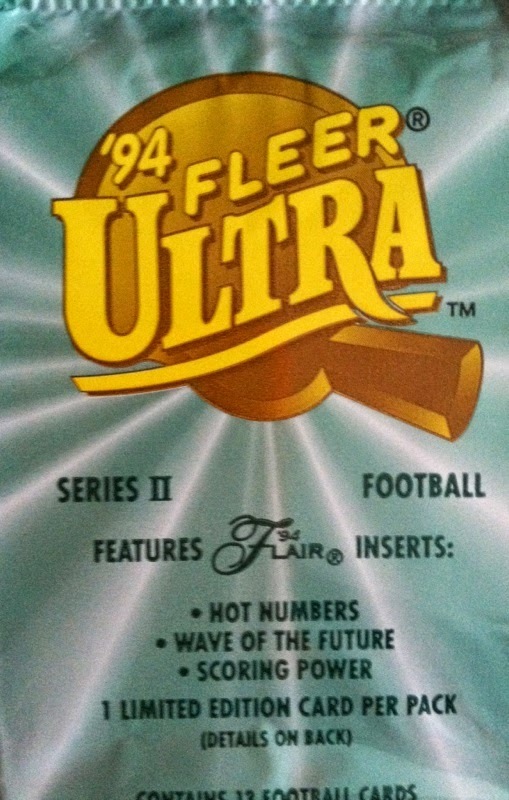 Always a home run in my eyes, Fleer Ultra was my brand of choice in today's 90's Rip Party break. I also decided to try and hit a for a cycle with baseball and hopefully not strikeout. 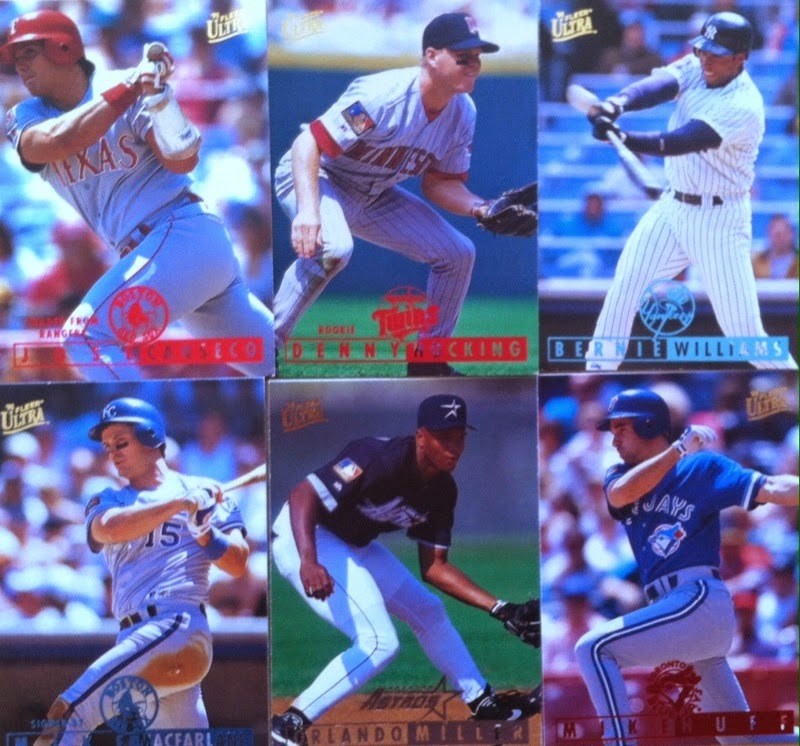 Fleer Ultra Series 2 baseball had 12 cards per pack. One of those cards was guaranteed to be a Gold Medallion parallel while the other would be one of their five inserts. 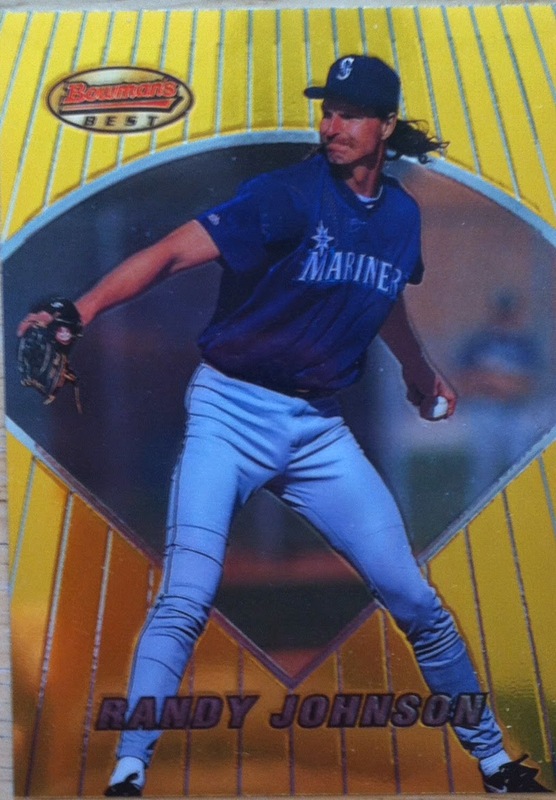 Once again in terms of design, Fleer Ultra swung for the fences. The fact that they used borderless photography with just a small name at the bottom is outstanding. The pictures are well done too so that helps. 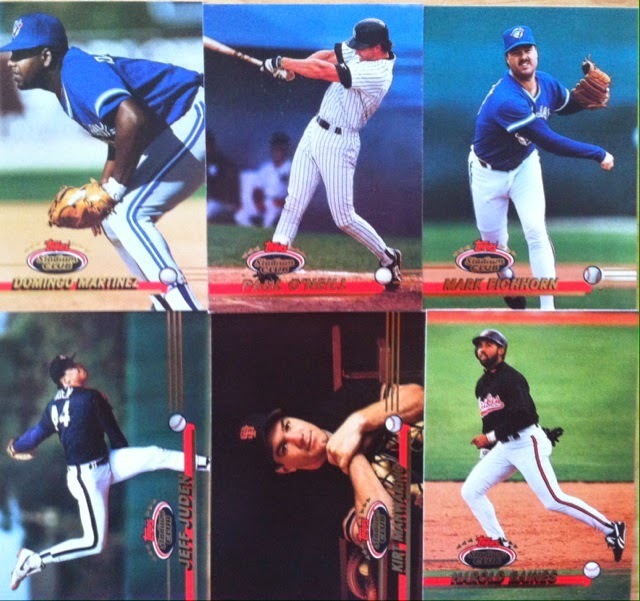 There is nothing more exciting than pulling a star in a 90's insert. 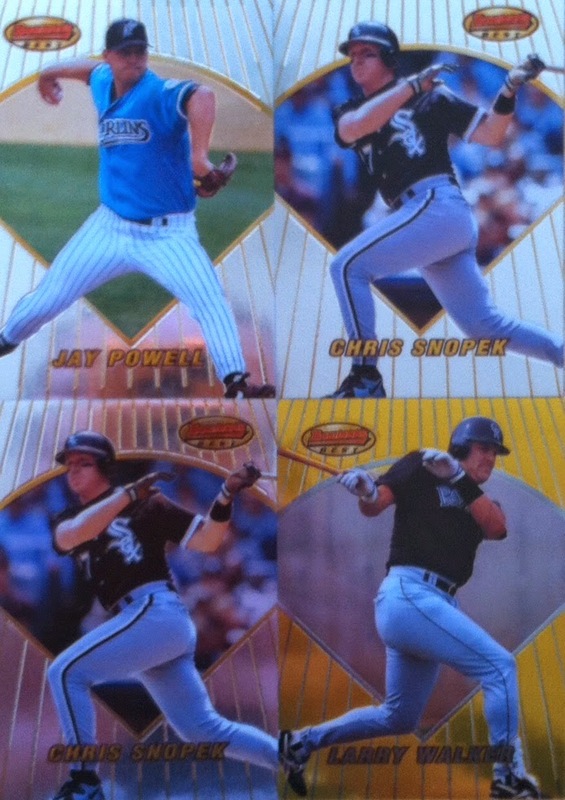 This All-Star insert fell 1:4 Series 2 packs. 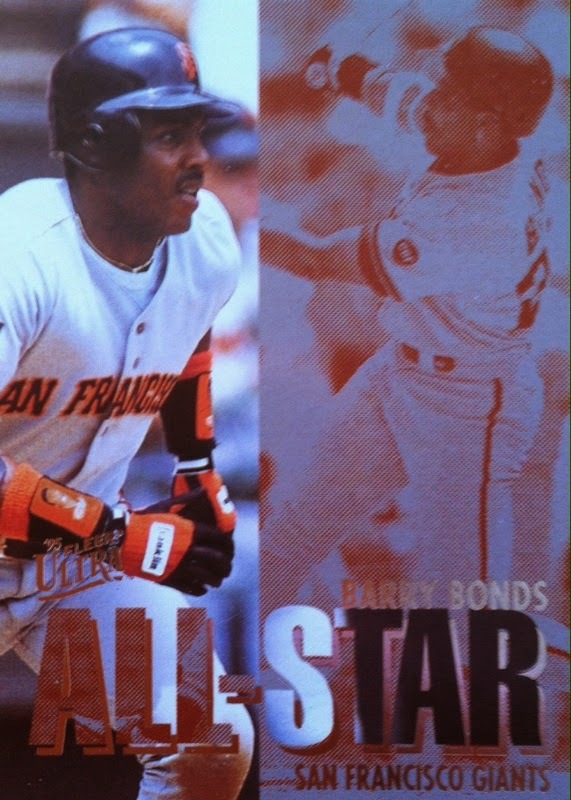 You could also get a Gold Medallion parallel of the All-Star insert that fell at 1:40. I feel good about this break. 2 inserts, nice looking photography and many memories. This kind of break was what 90's collecting was all about! Winner Of The Pack Gambler NASCAR Contest!